You probably have seen this already. There’s a family from Whittier, California whose Christmas card is going viral and turning their daughter into a hero. Then there’s the third adult daughter. She’s alone with a sign that just says, “Emily.” And since a lot of people can relate to Emily, she’s becoming a viral sensation… and her tweet of the card has over 300,000 likes. ← It’s Time to Cruise with Lisa Cruz! 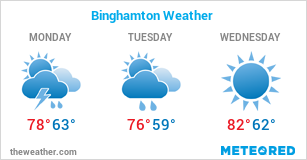 Binghamton’s “Definition” is Less Than Stellar. 01/25/2018 Rich Birdsall Comments Off on Binghamton’s “Definition” is Less Than Stellar.